I’ve gotten to a stage in my life when a lot of my friends are getting into serious relationships, getting married, getting their first HDB flats…and getting pregnant. And if there’s one thing I (as a non-mum) can attest to, it’s that buying stuff for kids and mothers can sometimes be a chore. You’ll see what I mean when you get invited to an endless chain of baby showers and one-month parties, right before the festive season. So it’s a bit of a relief to know that there is, in fact, a website that can help ease the pain that comes with gift-buying. The site in question is MUMS.sg: don’t be fooled by its name, because it’s really not just a website for mothers. It offers an extensive array of products, from the usual feeding and nursing necessities, to items like toys and books for older children. This means that instead of going out to physical shops to hunt for presents (where there’ll maybe, probably, definitely be a couple of screaming children), you can simply click and buy. MUMS.sg isn’t exactly a new site. 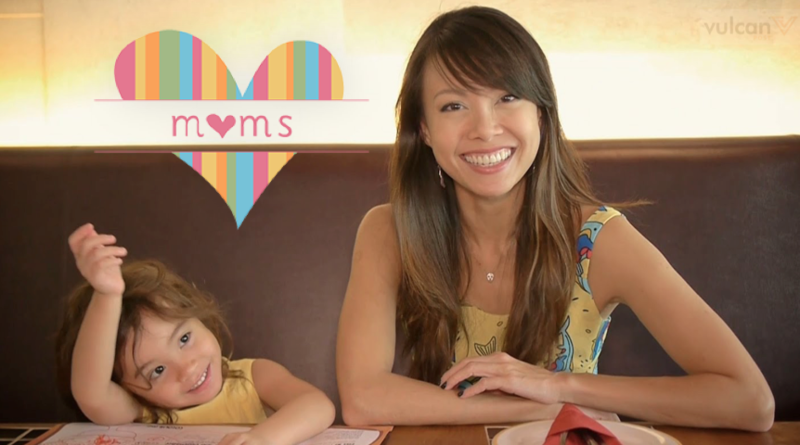 It was started back in 2013 by none other than local radio deejay and actress Jamie Yeo and a friend, when she saw a need “to find new ways to support all the mothers out there”. Apart from simply bringing hard-to-find items to shoppers in Singapore, MUMS.sg also features products designed and made by creative local mothers, and has a marketplace where mums can put up secondhand items for sale. This feature is a great addition, if you think about it: kids outgrow their clothes and toys really quickly, so it only makes sense that mothers have a platform where they can share their pre-loved items with others who might not want to spend a fortune on things like baby clothes. To make the deal even sweeter, the website also promises “always free delivery”, which is a nice touch for parents — childrearing is expensive business, after all. If you think that Jamie’s presence in the media has made it easier for her own business to thrive, then you’re wrong. As recently as Christmas last year, The New Paper reported that MUMS.sg had gotten numerous complaints from customers who did not manage to receive their Christmas gifts on time. This was put down to a combination of logistical reasons. Still, it’s worth noting that part of the delay was due to the fact that MUMS.sg had received a four-fold increase in orders compared to the previous year — a shining testament to the fact that the website is gaining traction amongst not just local mums, but Singaporean shoppers in general. MUMS.sg is a really helpful site, even for shoppers who aren’t parents. And I’m not saying this just because of the LEGO. It’s a breeze to navigate for those new to the world of baby showers and babies in general, which really helps remove a lot of the stress that comes with shopping for gifts. The section listing bestselling items and featured brands, for instance, is especially useful for those who don’t have any idea at all what you’re supposed to get for your friends or their kids. If you’re still at a loss, though, maybe just start building yourself some LEGO — that should take your mind off the impending stress of the festive season.